A couple of giveaway winners to announce! I'm just popping in with a couple of giveaway winners to announce! 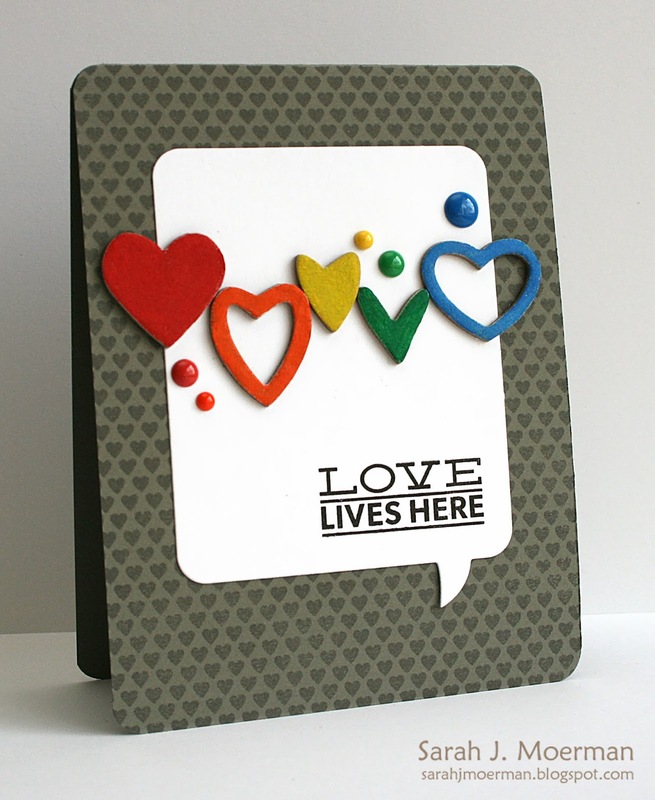 What a great idea and love the cards! the sequins do look like snow! Great job Sarah. Congrats ladies! Please email me with your shipping info so I can get your prizes out to you! Also be sure to check out the Sarah's Kitchen Garden facebook page to see if you won the seed paper and card set giveaway she had as well! 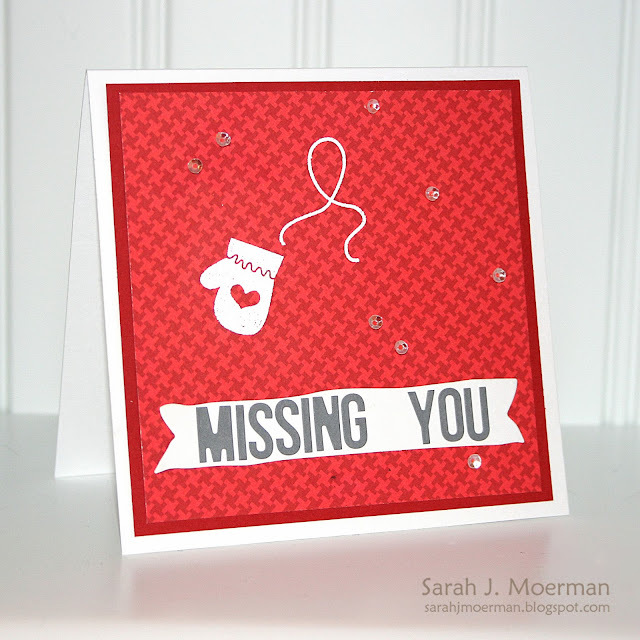 I'm back to share yet another card using the Simon Says Stamp December Card Kit: Warm Holiday Wishes. ... So what do you think? Does it look like a wreath? 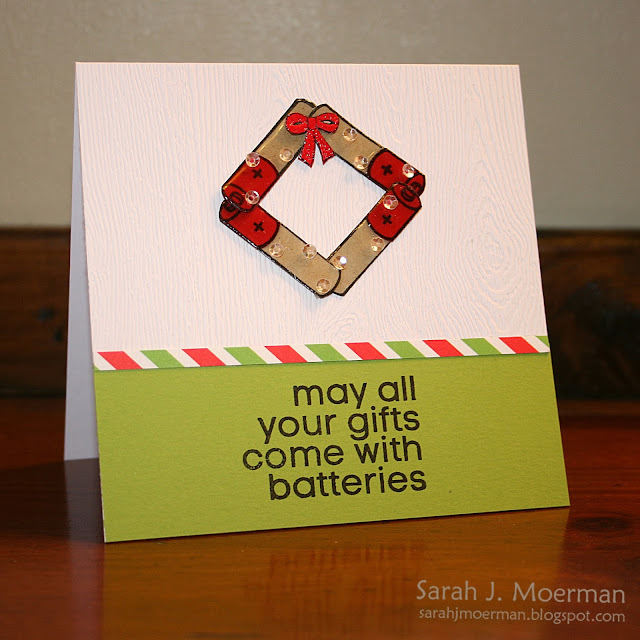 After stamping and paper piecing the batteries. I covered them with glossy accents to give them so shine. Once I got my wreath together I added some sequins and a bow (also from the stamp set). 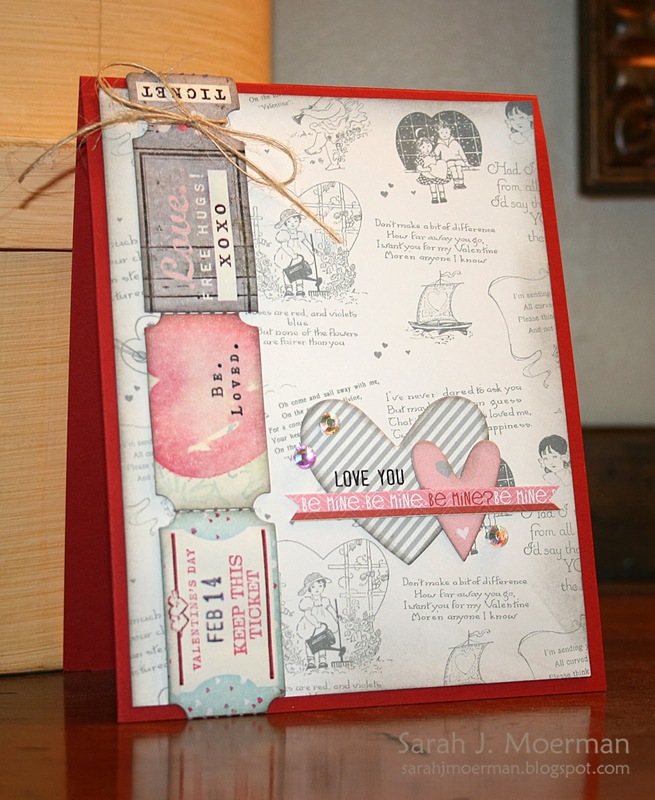 Just a reminder that you can purchase this kit HERE at Simon Says Stamp for $24.95. 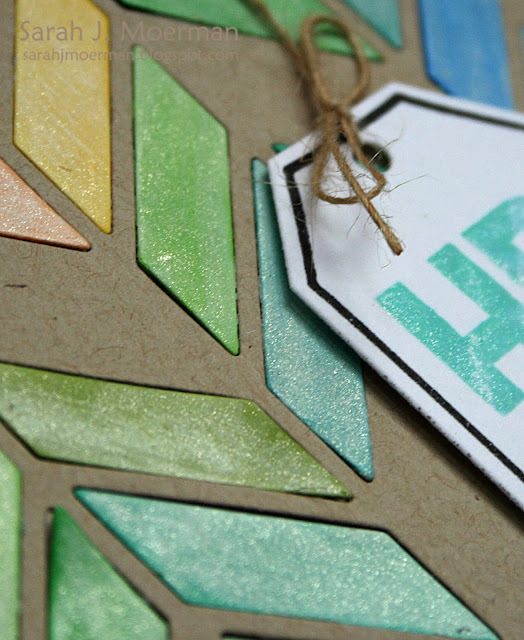 The Simon Says Stamp monthly kits have been selling out so if you're interested you'll want to be quick! If you don't want to miss out on a month and want to take advantage of a discount too you can subscribe each month for only $19.95!! It's an amazing deal! Now for the giveaway part! 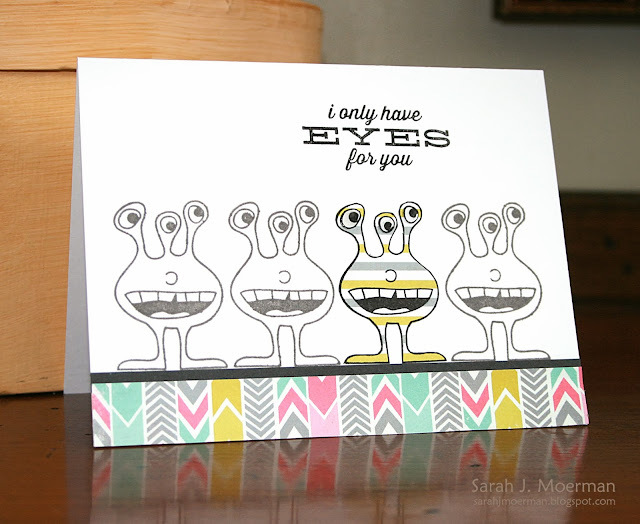 Just leave a comment on any (or all) of my Simon Says Stamp Card Kit posts for this month by Sunday November 24th at midnight for your chance to one for yourself and I'll announce a winner on Monday the 25th. :) I also have another giveaway ending the day which you can find HERE. 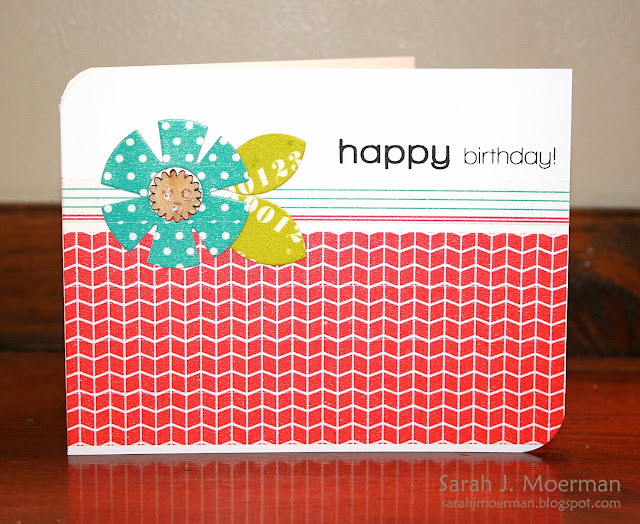 I'm back today to share another card and another chance to win a Simon Says Stamp December Card Kit: Warm Holiday Wishes. 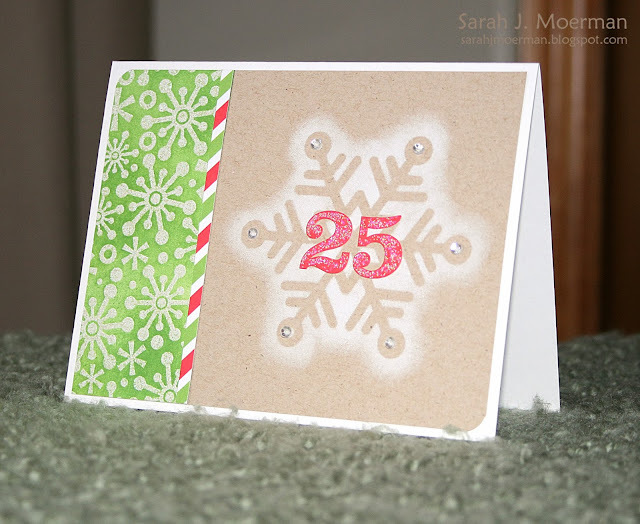 I used the fabulous Simon Says Stamp Maryanne stencil with Colorbox Frost White ink and a dauber to create my snowflake. 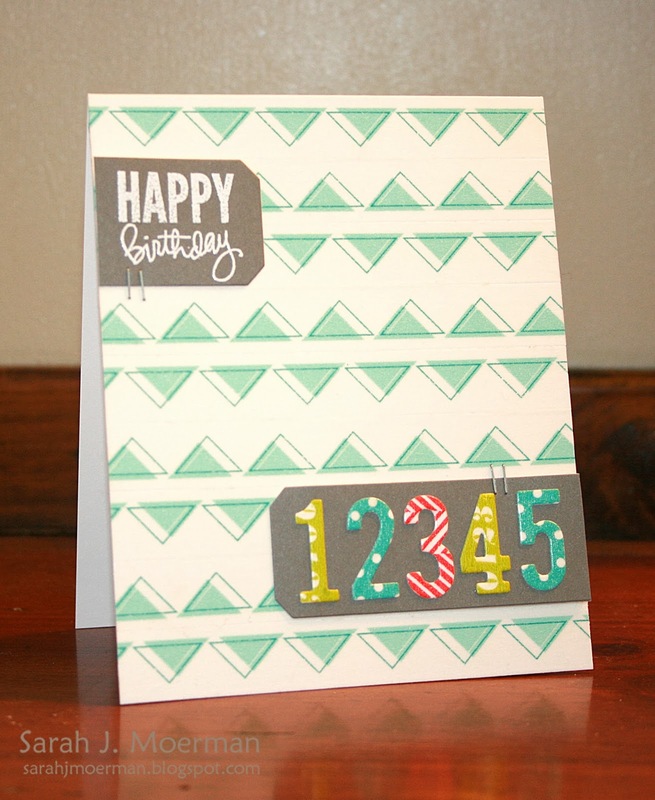 I then added some of the great Kelly Purkey number stickers to the center and covered them with Star Dust stickles. The sequins were a perfect fit for the tips of the snowflake. 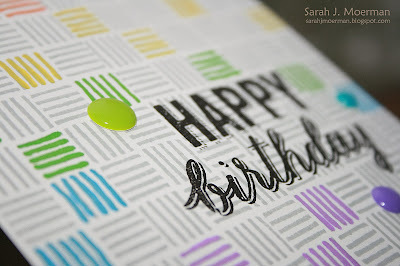 I then took a piece of the Doodlebug patterned paper (the one with the clear embossed glittery snowflakes) and using an ink blender and Mowed Lawn distress ink to go over it. 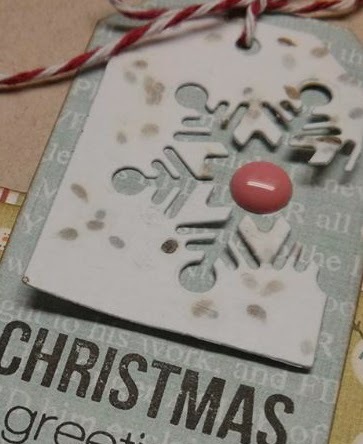 Since the snowflakes are clear embossed they resisted the ink! Big Holiday Wishes (and Simon Says Stamp December Card Kit Giveaway)! 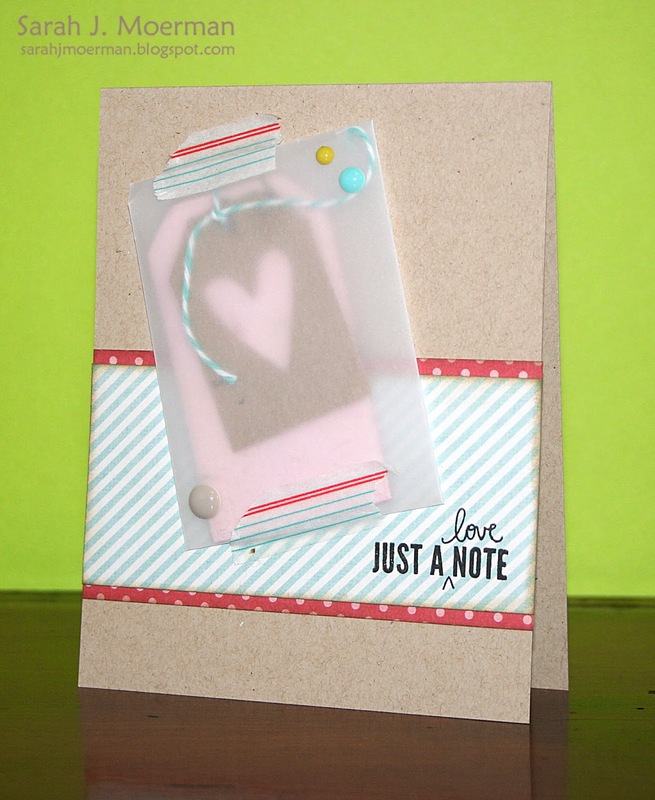 I'm back today to share another card and another chance to win a Simon Says Stamp Card Kit of your own. 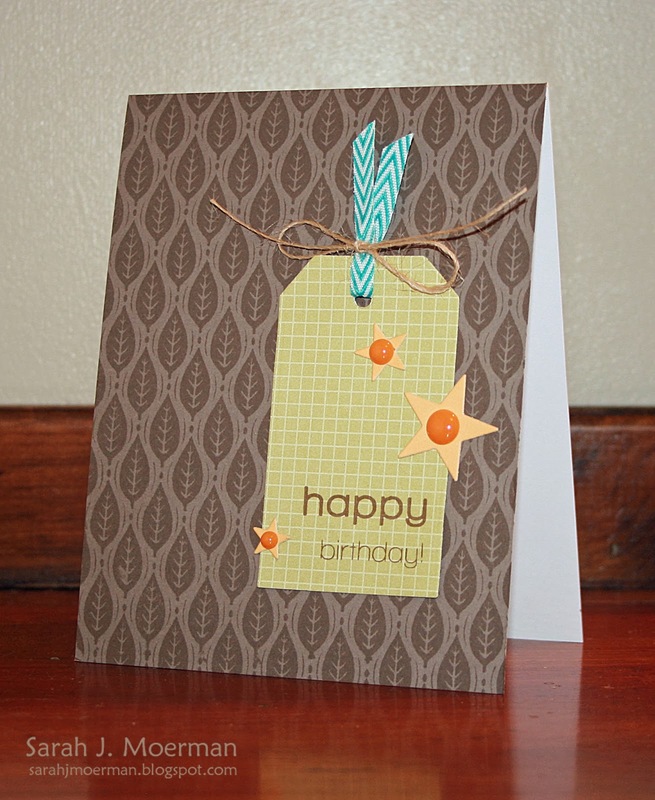 Also, just a reminder about this post with a card set and seed paper giveaway. 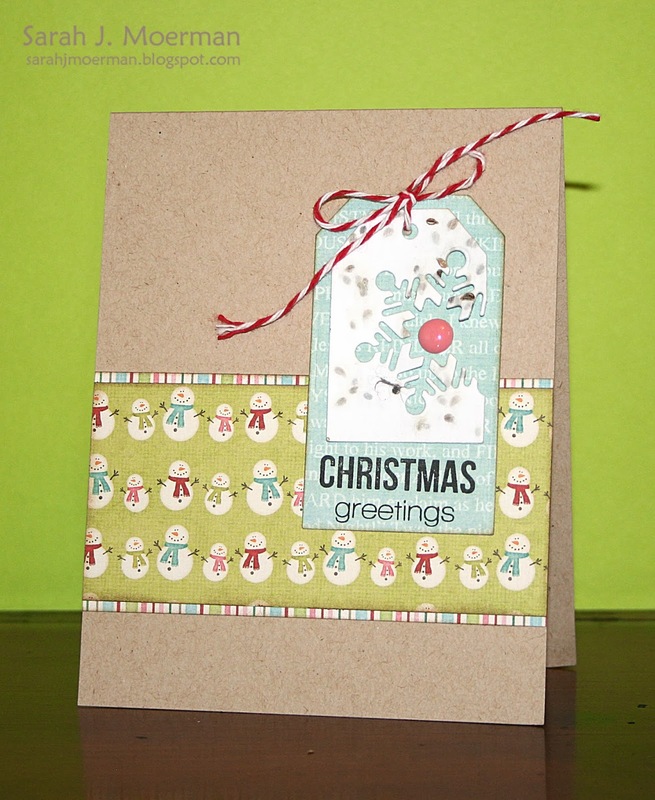 Today's card again features the Simon Says Stamp December Card Kit: Warm Holiday Wishes. I'm having so much fun with this month's kit and the adorable stamps included in it. 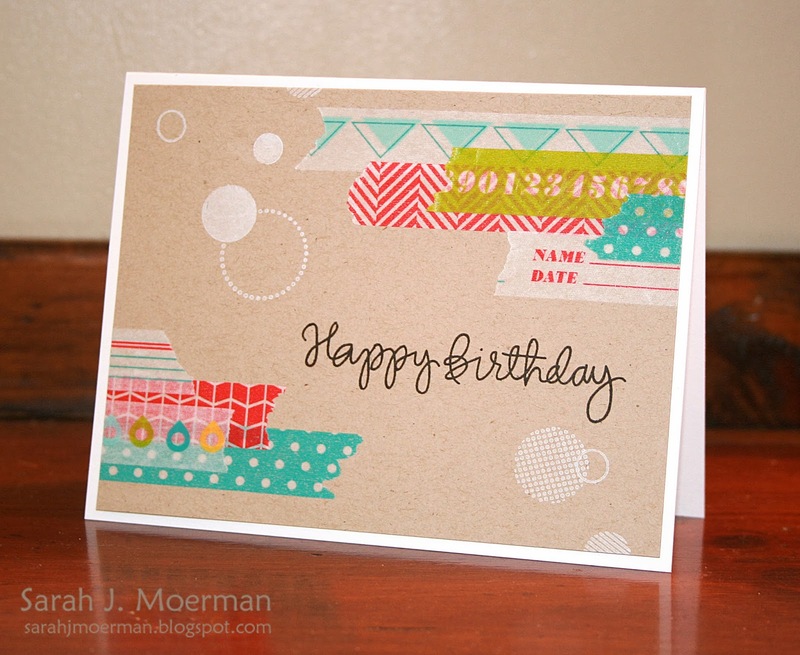 Embossing paste has become a popular tool for card makers to use with stencils. 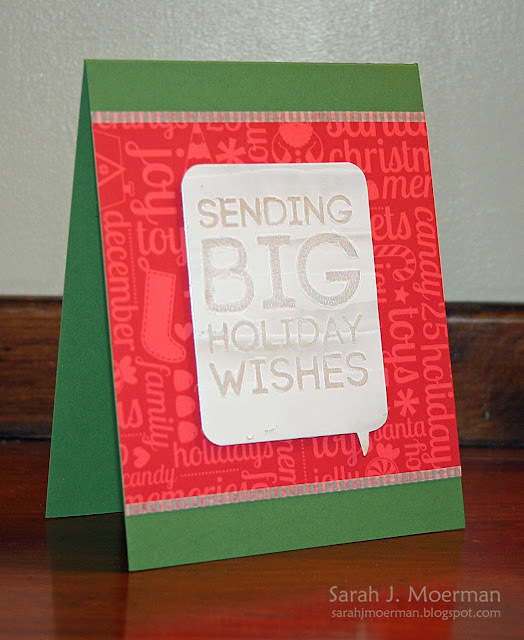 I thought I'd try something a little different and apply it to some plain white cardstock and then press the Sending Big Holiday Wishes stamp into it. 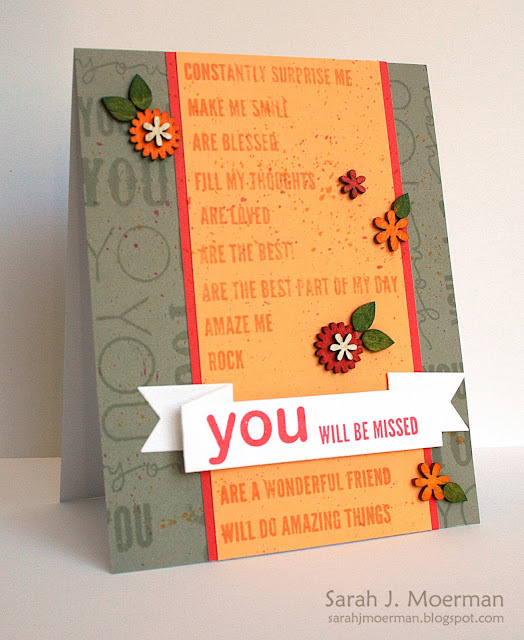 Once dried I die cut the sentiment with a Simon Says Stamp talk bubble die (shown below). Missing You (& another Giveaway)! I'm back to share another card today but before I do...did you see this post with a card set and seed paper giveaway? Fun, eh?! 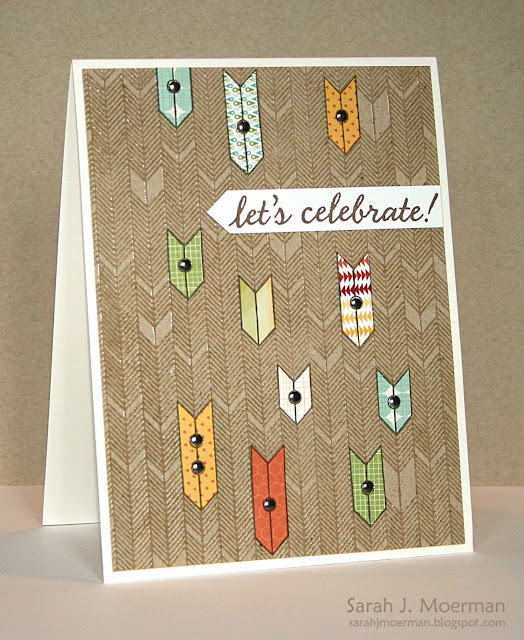 Today's card features the Simon Says Stamp December Card Kit: Warm Holiday Wishes. 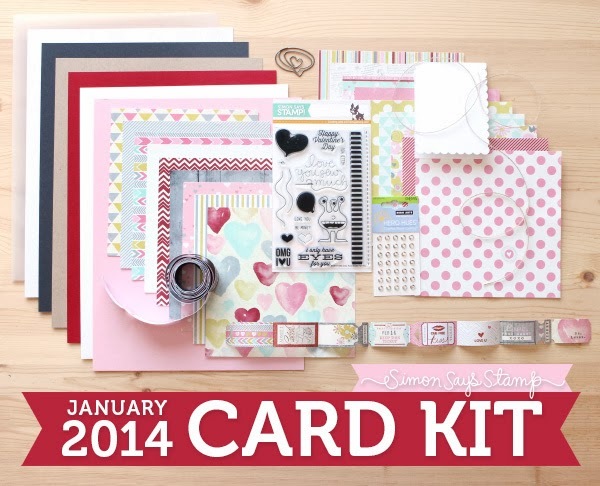 This month's kit is so much fun!! 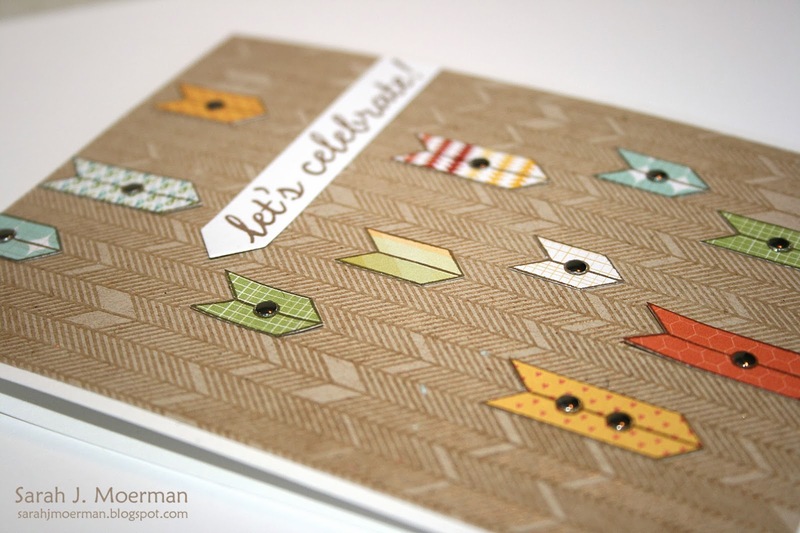 I <3 the Big Holiday Wishes stamp set! It's perfect for Christmas (and Valentine's too)! Some adorable Doodlebug papers, thin silver striped washi tape, sequins, a fabulous Simon Says Stamp snowflake stencil, and 2 sheets of Kelly Purkey sticker round it out. I love that the mittens and string are all separate stamps so you have more options in how you use them. Don't the sequins look a little bit like snow? I'm back today to share a little project I've been working on! I'm quite excited about this one as it's a collaboration with Sarah Hemingway of Sarah's Kitchen Gardens. Sarah is a friend I went to university with... I don't think I've actually seen her since but we've kept in touch through facebook and I'm totally in awe of her and her creativity, both in the garden and the kitchen. (I kind of want to be her when I grow up.) :) Along with her blog, Sarah has a facebook page where she also shares what she's up to in her kitchen garden. If you follow her blog, you'll see that she has free resources for growing your own food organically, including a spreadsheet calculator where you can just enter your frost dates and it will calculate when to plant everything for you! (I SO need this)!! Sarah also hosts local workshops and sells seedlings in the spring. 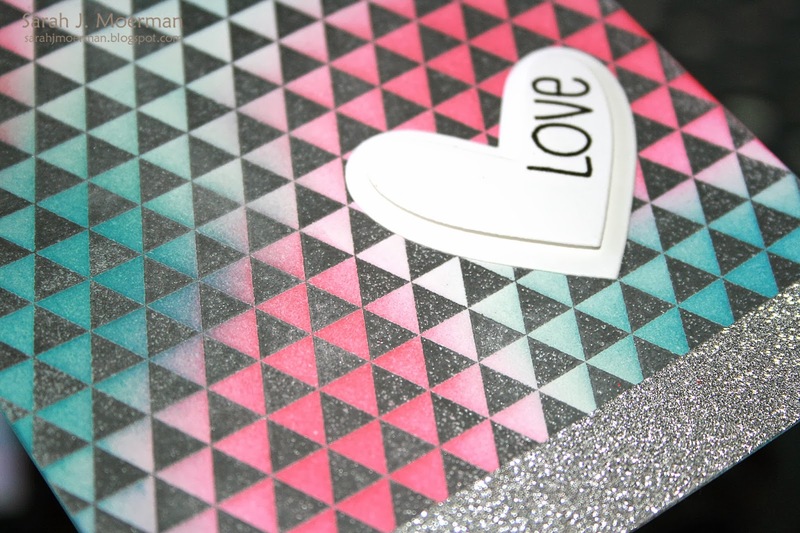 I hope you'll check out her blog! Anyways, we got to talking a few weeks ago and the end result was that she was going to make some seed paper for me to play with. I thought that was pretty cool! I'd have some pretty paper to play with and we'd both have a little giveaway. It wasn't until we talked some more that I realized that you can actually GROW stuff from this paper! WHAT!?!? Sarah wrote all about it here. Isn't that incredible?! I thought it would be fun to make some card sets for various occasions by die cutting some of Sarah's seed paper. 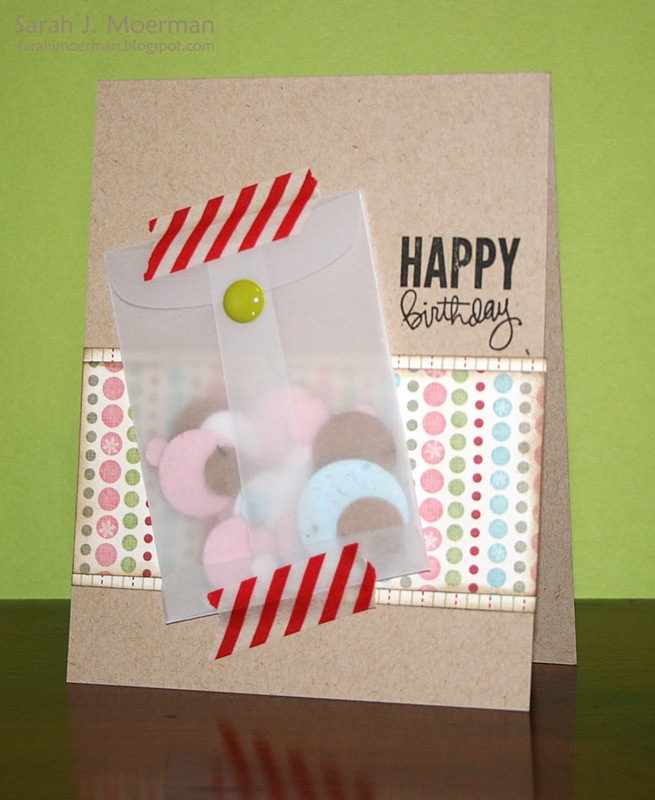 The seed papers can all be easily removed from the cards by untying the tags or removing the seed paper from the envelopes. They can then be used to grow various plants (see descriptions/ instructions for using the seed paper below). Now for the giveaway part! Sarah and I are BOTH giving away a set of the 4 cards you see here along with two 4" x 5" sheets of EACH color of seed paper (so you can play with it yourself)!!! To win my giveaway just leave a comment on this post by midnight Sunday November 24th and I'll announce a winner on Monday the 25th. To win Sarah's giveaway like her Sarah's Kitchen Garden facebook page and follow her giveaway instructions there. 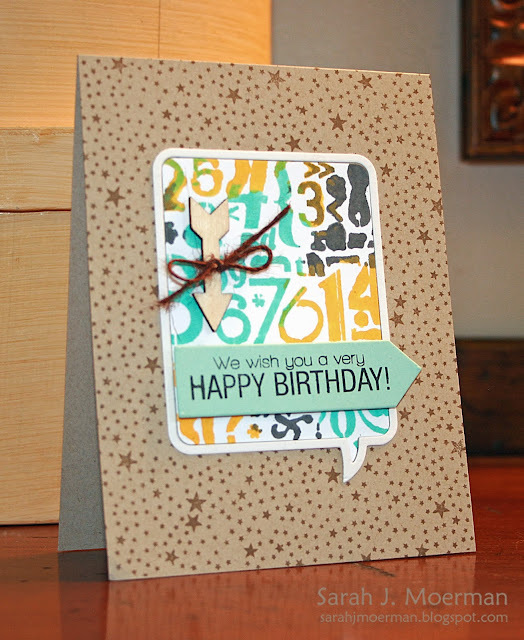 I'm popping by to a share a birthday card I made using some fun Simon Says Stamp exclusives. If you know me you know I love my background stamps...well I love background dies just as much! I die cut the chevron background using kraft cardstock and then again using white cardstock. I then colored in the little white pieces with my Marvy alcohol markers, adding some white Wink of Stella before adhering them in place. 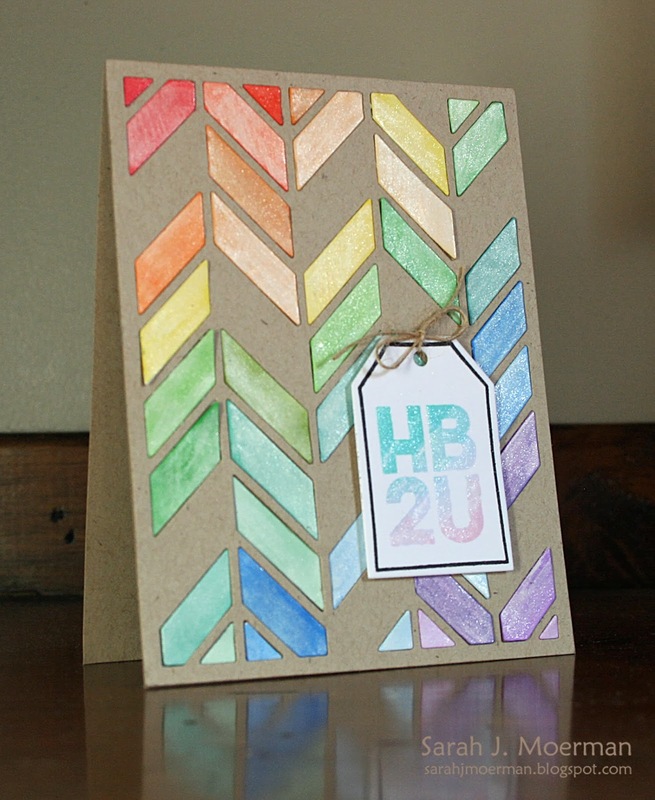 The HB2U stamp was inked up with Hero Arts shadow inks. Once stamped I went over the image with some more Wink of Stella. 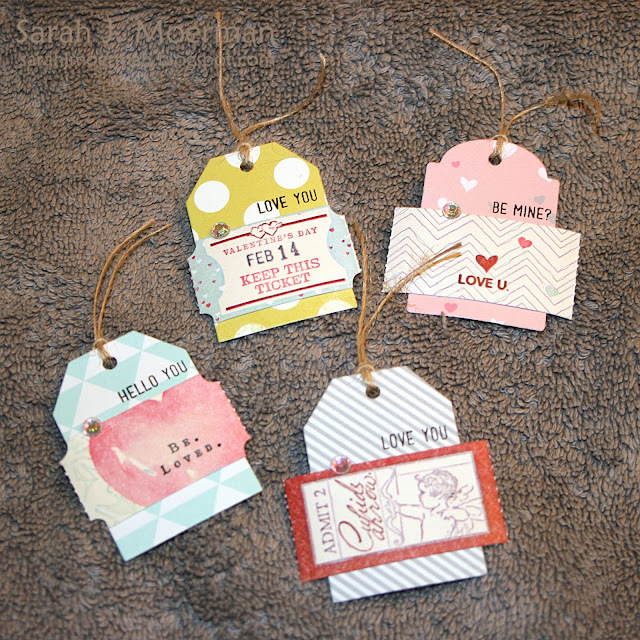 Have you seen the brand new My Favorite Things Release? 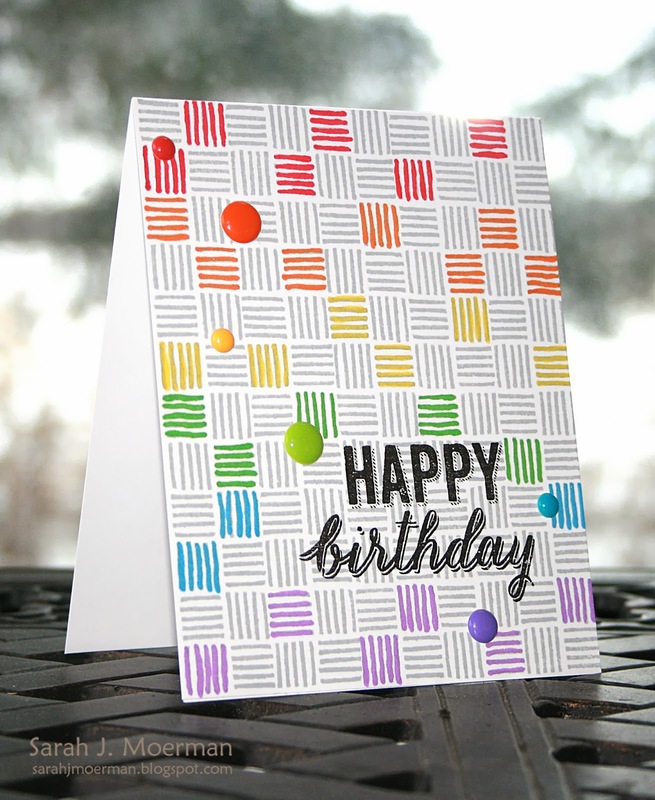 New Hero Arts at Simon Says Stamp! Quick! Have you seen the new Hero Arts over at Simon Says Stamp? They are part of the early release from the upcoming 2014 catalog. Fun, eh? 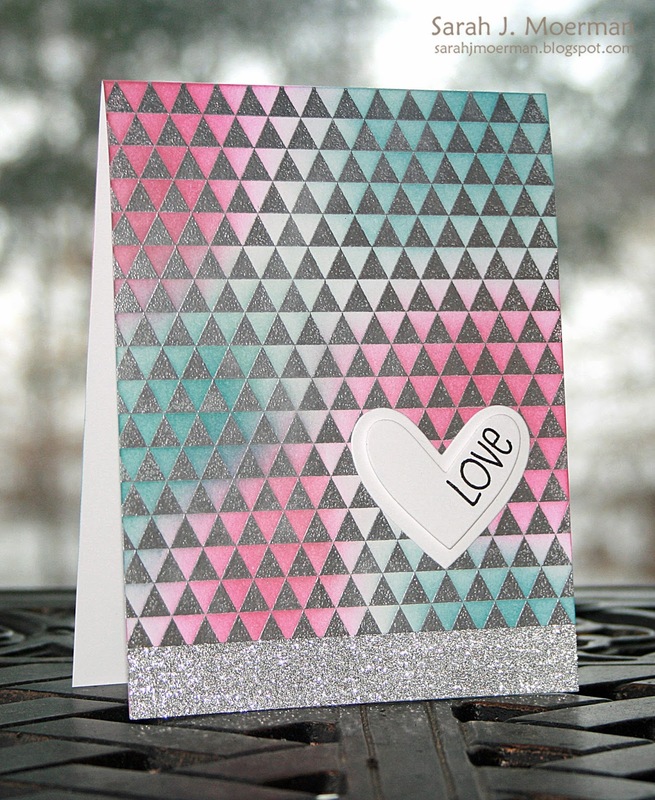 I'm a sucker for patterns so I love the triangles. I'm also excited to see some great sets for kids and men! Will definitely be using the Lil Hoot set for my kids (and I'm sure they'll be wanting to play with it too). ;) And the Missing You set? I'm all ready to pull out my googly eyes with that one. Will be back soon with some publication shares. This post will be short and sweet. Just popping in real quick to share a card I made a couple of weeks ago using some wonderful new(er) Hero Arts along with some paper piecing. 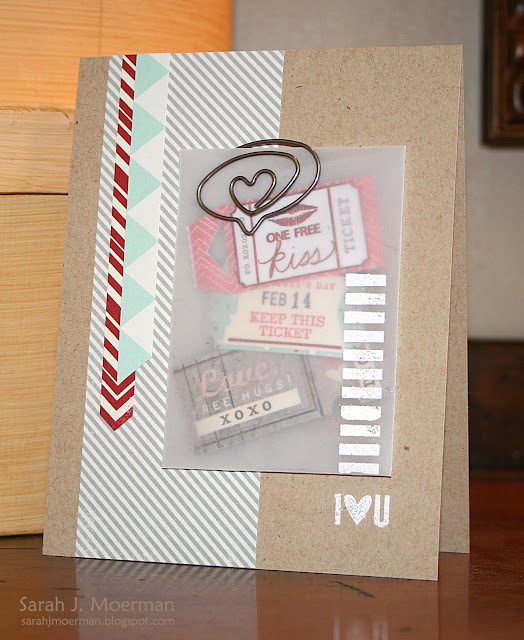 Love this Vertical Arrows background stamp! Moxie Fab Thanks! Blog Hop! Welcome to the Moxie Fab Thanks! Blog Hop! 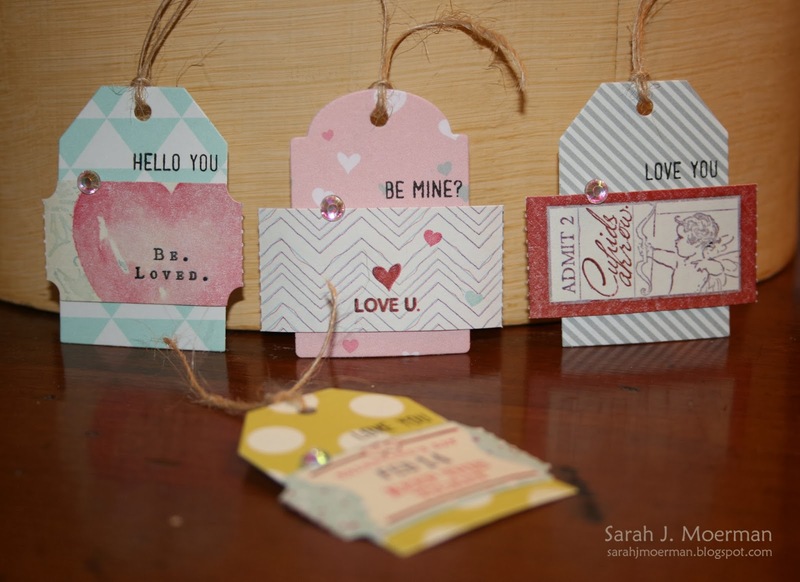 You should be arriving from Jen del Muro's blog. If you've made it this far...CONGRATS!!!...lol. 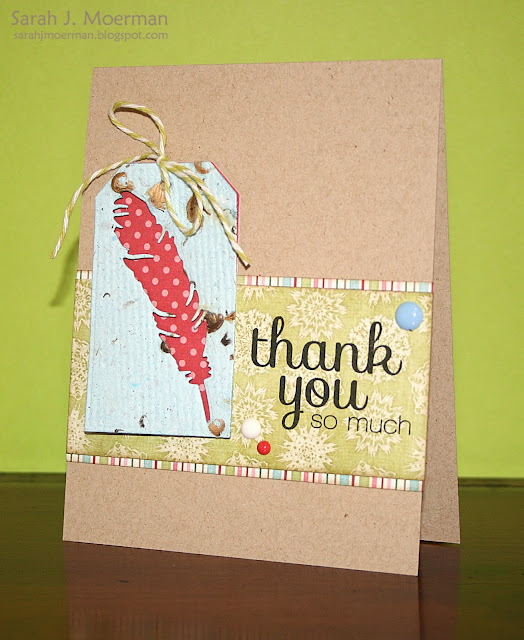 This is a MASSIVE blog hop to say *thanks* to Mrs. Moxie Fab Cath herself for inspiring so many of us with her posts over at Moxie Fab World over the past number of years. Although I was more of a lurker than anything, I always appreciated Cath's fun, trendy, and informative posts. Her Tuesday Trigger Challenges were always inspiring and I loved getting to know other crafters through her Moxie Fabber of the Week posts. 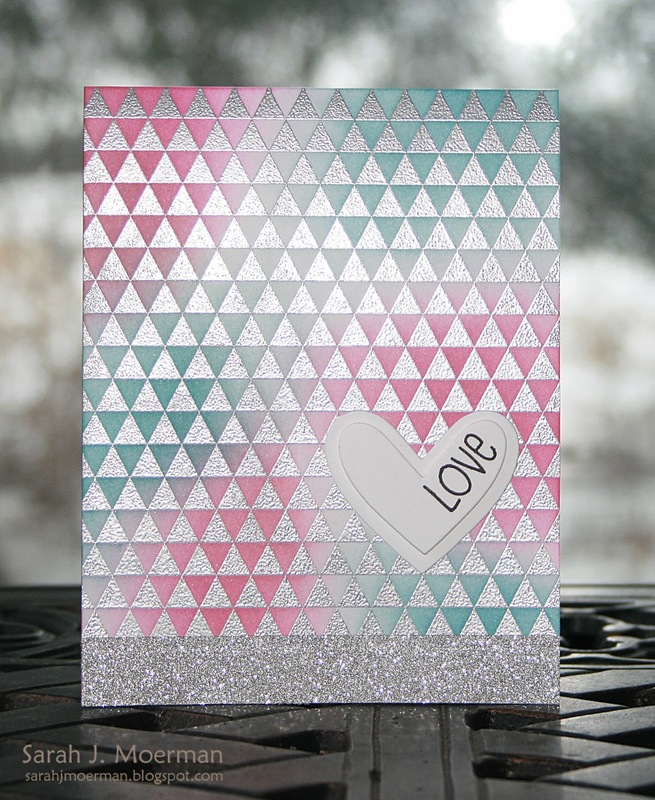 I was honoured on occasions when she shared some of my published cards and found it so helpful that she would go into detail as to why she thought they were Moxie Fab. Cath, thank you for being so Moxie Fab! For my card I used the Simon Says Stamp Falling Snow stencil, an ink blending tool, and Hero Arts Charcoal Ink to create my background. 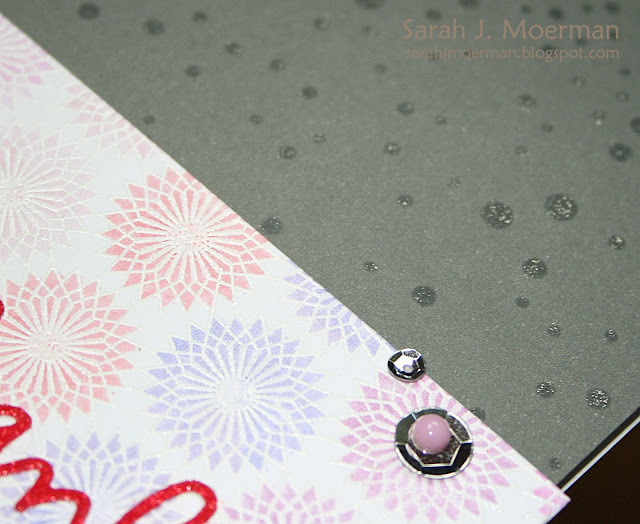 I then went over the individual circles with a clear Wink of Stella marker to glitter them up. 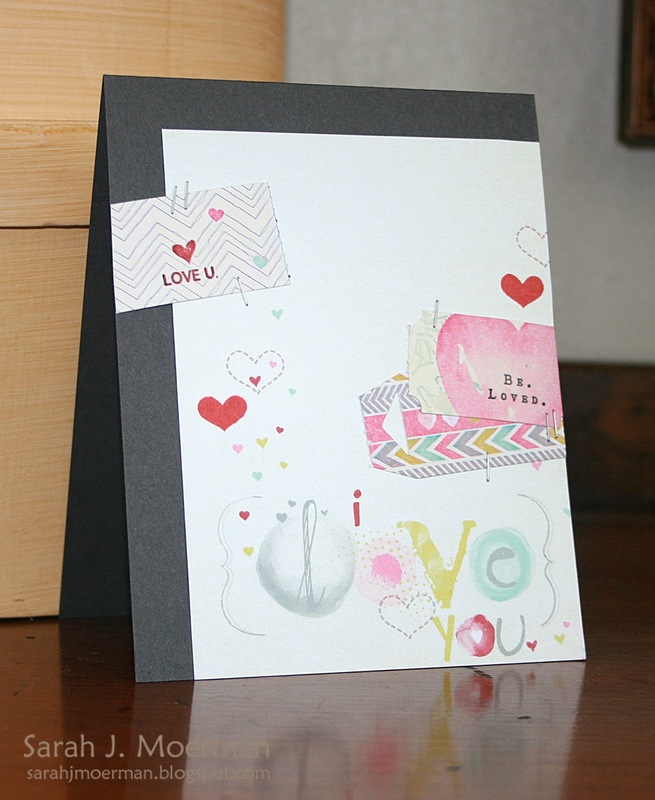 I then die cut the Wrapped Mailing Label, white heat embossed it with Hero Arts Bursts background stamp, and colored it in with Inktense pencil crayons and my Wink of Stella marker. The 'thanks' diecut had glitter added to it before adhering it and a few embellishments to the card. Thanks so much stopping by and special thanks to Cath for all the inspiration she has provided for so many of us! Your next stop is Laurie Willison's blog.